In the UK, there are several Acts in place which protect your rights when it comes to potentially dangerous or troublesome dogs, including The Noise Act 1996, with regards to the excessive barking of dogs, and the Dangerous Dogs Act 1991. It’s important to note that with regards to the Act, dangerous dogs are not simply classified by breed but by ‘type’ of dog. Therefore, when it comes down to the matter of whether a certain dog is permitted or not, it can often boil down to the physical characteristics and make up of the dog and whether or not there are sufficient similarities in the judgement of the court for a ban to be imposed and for further action to be considered. In the case of the pit bull terrier, there are so many different variations of this breed and certain pit bull ‘types’ are permitted to be owned and are exempt from the law, although you must obtain an exemption certificate to verify that. However, these ‘types’ of dog must be kept muzzled and on a lead at all times when out in public places, even in parks and fields. 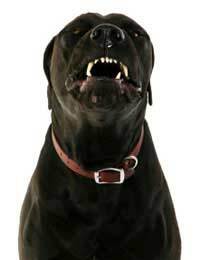 The Dangerous Dogs Act also applies to all dogs of any breed which might become dangerously out of control while out in public, where a dog attacks a person or threatens to do so. In such instances, the courts have the power to take a range of actions against the owner, which can include fines of up to £5,000, the dog being destroyed, and the possibility of the owner receiving a prison sentence in extreme cases. For your own safety, you should be aware of how to Deal With A Dangerous Dog when you are in a public place. This is one of the lesser known pieces of legislation relating to dogs, but it is still important for all dog owners to recognise its implications. The order requires that every dog out in a public place is required to wear a collar that has an identity tag with the name and address of the owner, even if the dog has been microchipped. Fines can be imposed if you do not do this and the police also have the power to seize any dog without a collar and to treat it as a stray animal. Fixed penalty notices can be issued to the owner of a dog who does not clean up and remove the mess after a dog has fouled in a public place. Alternatively, it can be matter for which the owner can be prosecuted. The exemption to this law is where a dog is owned by a person who is registered blind. There are also certain areas in which the law cannot be enforced, which primarily relate to fouling on commercial woodland, agricultural land (but not on any footpaths which might be contained within it), rural common land and land which is predominantly marshland, moorland or heath. The above Acts are the main ones to refer to which relate to dangerous and troublesome dogs, although if you have a guard dog on your property, you should also familiarise yourself with the Guard Dogs Act 1975 which has its own separate legislation. The Environmental Protection Act 1990 also legislates that if you continually let your dog stray unattended, it can be seized and you will be charged for its return. And, if the dog has not been reclaimed after 7 days, it can be re-homed or even destroyed, although this will only usually be the case for persistent offenders. It’s also important to recognise those specific areas which have been designated completely ‘dog free’ zones. Many children’s playgrounds are kept completely dog free for safety and health reasons, and signs will have been put up specifying this if it is the case. mydaughteris being harrassed bymoaning neighbourfirstlyshe blocksher parking space then complains about bnsthendirtynappy on gardenwhichis not granson as heis out of nappiesnowsayabout childstoysqueakngnowposted letterthrew letter box sayingabout child aged3running aboutin he dayplayingjustnormalnoiseshebangsceiling louder than any noisewe makeand when she atworkher2dogs barkmostdaybutmy daughterdont complain,I feelthis lady is bullyingmyyoung daughter,i spoken her few timesaboutparkingshesays oh sorry all sweetlyi am about same ageasher i feelshe doing it as mygirl is young. shethen addedon noteshe wantsquiet after7oclock whenbaby should be in bednow the child is in bedduring weekat7as mummyworkshestaysmine2 nightsdaysand playgrouptwo daysshe only everthere like onewhole day...whatdo we doaboutthismy daughters worriedshego landladyor council??? Just state the facts and tell the council's representative about the kinds of noise that might be made by you and at what times. I have a dangerous dog that keeps trying to attack me, technically shes my ex girlfriend but shes comes at me like a pitbull in tesco! Can someone take her off my hands please? Our East End neighbours, Colin and Linda Banyard, moved in ten years ago.Their back garden adjoins our side garden.From the get go it was overbearing behaviour from them.Me and my husband are both disabled, (I am partially sighted with macular degeneration and have mobility problems from arthritis, my husband has replacement knees, a severe lung disease and rheumatoid arthritis. )At first Banyard wanted all the trees, (which are his boundary,) down to allow his two guard dogs free access to our garden.Our garden is about five feet higher than his and we would have been able to see directly into his back bedrooms, whilst he could watch us continually in our garden, let alone our cats being considerably harassed.When I pointed this out to him, he said:- "I have been in your garden many times when you are out to get my dogs back. "I advised him not to enter my garden again, without permission and all hell broke loose.He shot one of the cats in the spine, leaving a 2.2 bullet hole in the fence.The Hobby Bobbies did nothing.The cat died.He has us both on his passive infra red security cameras and knows instantly if we go out in our back garden so he comes out and him and his wife make a dreadful noise, both of them coughing like my husband, mimicking him. If I try to sit in the garden in the summer to listen to one of my audible books, he makes so much noise I cannot hear them so I have to go in.If I click for my one remaining cat with a jam pot lid, (I daren't call the cat's name or he and his wife put up ten minutes of imitation of my voice, making fun of me,)he bangs his wheelie bin for half an hour with a broom handle.I feel as if we are being both stalked and bullied but the Police will do nothing. @Honey. If your husband has assaulted you in any way you should report this to the police. As for the dog, you will need to try and discuss this with your husband, it should be housetrained after a month or so and should be at the stage where it will give things up if you catch it chewing. You could try crate training the puppy before it gets older, that will keep it out of harm's way when you're not able to watch it. Hi there, My husband came home with a Rottweiller puppy a couple of months ago with no prior warning and the dog has turned our lives upside down. he tears into everything, the newly laid carpet, the wall paper, the dinning chairs, barbecue cover and cupboards. he does his pooh and wee everywhere inside and in the garden. my husband does not want to do much about it and turns a blind eye. Worst of all he beat me up over the dog today. Where do I go from here? I live in a property comprising 2 flats - the frontgarden is divided by a communal path.My neighbour allows her dog to defecate in her garden and leaves the mess for days before picking up. In the summer there are flies galore which I consider a health risk. I understand that if you let a dog defecate in a public place you risk getting a fine but I dont think there is any legislation for private areas. Some housing assoc. state in tenancy agreements that dog fouling must be removed immediately. My main bay windows overlook her garden.I have views to the sea so when visitors come they look outof windows to the sea but very often thedogs mess will bethere.I think there needs to be an update in legislation. .
@spoony. Your dog should really be kept under control and away from strangers unless you are with it. Until you know who the other person is that reported your dog and learn more of the facts, you cannot really do much about it. I need advice i own my property but the house next door is rented, just under a year ago new neighbours moved in with a very large and aggressive male rottweiler. it has damaged my garden fence as it constantly jumps up when anyone leaves or enters my property, myself and my children are terrified that it will one day break through the fence. i have been in touch with the estate agents but they have just ignored my conerns. What else can i do? Its not the dogs that should be punished or put to sleep. Dogs can be re trained throug rehab and taken away from irresponsible owners. Owners should be dealt with severely and EDUCATED. Perhaps all people owning dogs should have compulsory training on xanine behaviour and attend basic training.human beings are disgusting sometimes and same humans putting animals to sleep for a bite caused by an owner. LAW IS WRONG!!!!!! We have neighbours with four large dogs that are fouling in there back garden and the smell is awful, the couple have four children that could not play there. what can I do as Im afraid it will encourage rats ? My neighbours acquired a Rottweiller puppy about 3 years ago. The main problem is that for 3 years now we have had to put up with an incredibly scary, snarling dog that growls and barks at us when we are on our own property. If we pull up on the drive and get out of the car it barks like crazy at us, when we come out of our front door it barks like crazy at us, when we are in our garden it can make us jump out of our skins by suddenly barking and growling at us. Visitors to our house get feightened by it barking at them and children are terrified.My wife looks after very young children for the Homestart charity and we feel extremely worried should the dog get loose and get into our garden, which thankfully it has not been able to yet.I have spoken to our neighbours on a number of occasions over the past 2 years about the situation and while they say they will get the dog trained and introduce various measures to mitigate the situation it is no better in real terms.We have been very patient and extremely reasonable but whilst I feel they know it is a problem for us they are unable to resolve the situation satisfactorily.How do we stand stand legally in getting a permanent solution in place?Thank you. I need advice for a similar situation to the above. I have a new neighbour who has a ferocious rottweiler that constantly threatens to attack me and visitors, over the fence. It leans on the fence barking ferociously or jumps up barking and growling. Do I have to put up with being intimidated in my own garden. Seeking advice on neighbour playing football with her three dogs ( directly below my bedroom window ) this goes on daily till midnight. The constant thumping of the ball is making it impossible to sleep. She was abusive when asked to stop.Any advice welcome. I have reported this to housing and police, but this has had no affect on her she still continues with the noise.